Fullerton was found in 1887 by George and Edward Amerige. Being over 117 years old, the city has gone through many changes keeping emphasis on progress. Being mindful of advancement, many homes, buildings, and structures have been replaced with modern ones. Yet Fullerton has reserved some classic, historic edifice to be honored and enjoyed by future generations. 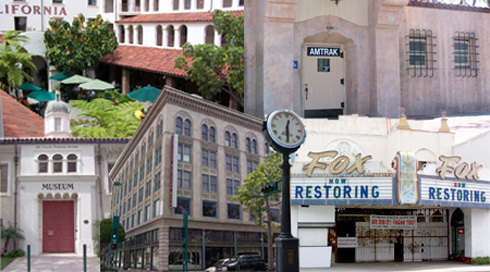 Click to the left to read about historic places in Fullerton.